UNITED STATES of America - It can now be reported that French President Nicolas Sarkozy has given the Barack Obama Administration 48 hours to implement the Final Financial Settlement of the noted Wanta-Reagan-Mitterrand Protocols. Note: The Protocols would return $1.5 TRILLION to the U.S. Treasury while the rest of the funds go to other countries and finally pay out $5 BILLION of backdue Russian ruble operation commissions owed to the French government. Reference: The French Intelligence Agency was vital, along with U.S. and Chinese Intelligence, in taking rubles out of Russia and, accordingly, bringing down the Communist government of the Soviet Union. Note: It was Ambassador Leo Wanta that headed this team. As we have previously reported, the French commissions were actually stolen and laundered by the British government (reference Lord Alexander). We can now divulge that, at today's G20 Summit in London, French President Sarkozy confronted U.S. President Barack Obama not only on the need to implement the Wanta-Reagan-Mitterrand Protocols, but on the latest criminal activity of Obama's U.S. Secretary of State, loser and lesbian in-the-closet, Hillary Rodenhurst Clinton. Reference: It was over two weeks ago that loser Hillary went to RED China and coerced and then guaranteed that if the RED Chinese government bought $312 BILLION of U.S. Treasury Bills that both the U.S. Federal Reserve and the U.S. Treasury would guarantee the Chinese investment should the investment turn sour. The TREASONOUS witch Hillary also guaranteed the RED Chinese government that it would be repaid in U.S. gold should the Chinese T-Bill investment fail. Note: Loser Hillary illegally placed 2,000 tons of U.S.-French gold tied to the noted Wanta-Reagan-Mitterrant Protocols in a secret numbered account at the New York branch of Goldman Sachs. Reference: Rumors are flying in Europe that the Obama Administration, on the urging of former President George Herbert Walker Bush, have already paid off the Chinese on the Wanta Protocols using stolen U.S. Treasury funds, but have not paid the French. 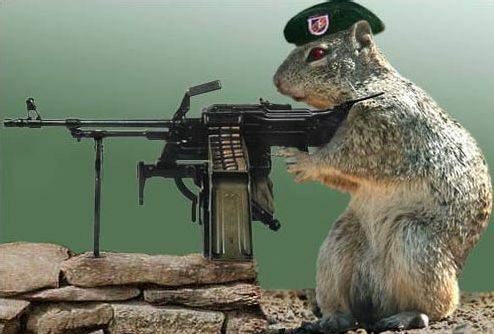 This can explain the showdown today between Sarkozy and Obama and the Chinese. So you see, folks, the Obama-Bush-Clinton Administration enables totalitarian dictatorships like the RED Chinese at the expense of a western democracy, America's greatest and oldest ally, the Republic of France. And, of course, the Obama-Bush-Clinton Administration would rather pay the RED Chinese than the American Treasury itself. We can now answer the question whether Obama is President of the United States or president of Goldman Sachs. He is clearly president of Goldman Sachs with his new residence in Shanghai, China. TRAITOR Hillary was enabled and assisted in this illegal transfer of U.S.-French gold by noted Citibank fraudster and former Clinton Administration Treasury Secretary, Robert Rubin, former BushFRAUD Treasury Secretary, Hank Paulson, and current Obama White House legal counsel, Skull and Bonesman, Greg Craig. 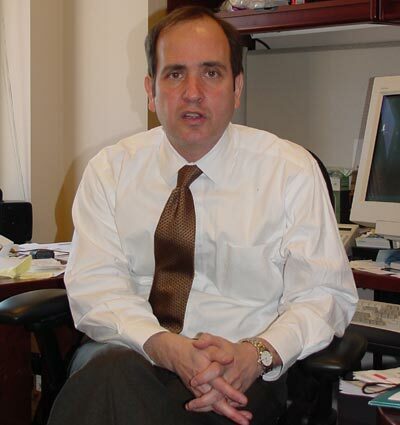 Item: Craig, who is now facing a European INTERPOL "Red Notice" aka an indictment, along with a judicial restraining order in the United States, has been directly in charge of blocking the implementation of the Wanta-Reagan-Mitterrand Protocols, along with hiding and covering up the offshore secret proprietary accounts and tax havens that have been used by the Bush-Clinton Crime Family Syndicate, along with former British Prime Minister Tony Blair, to launder and STEAL U.S. Treasury funds. Note: The noted British-Chinese owned Bank of Hong Kong is currently under European INTERPOL investigation for money laundering, counterfeiting and tax evasion. It should be noted that both Hillary and current British Prime Minister Gordon Brown have secret accounts at this bank. and kings and notable queens! P.S. At today's G20 Summit, French President Sarkozy also demanded that President Obama and current British Prime Minister Gordon Brown clean up and provide a full audit of the offshore CIA-British MI6-Israeli Mossad proprietary accounts that have engaged in political assassinations, money laundry and direct THEFT of U.S. Treasury funds. So you see, folks, it is important for We Americans to know who our REAL friends are and who our real friends are not! After 200 years, the Republic of France remains the only true friend and oldest ally of the American People. French President Sarkozy made it clear at today's G20 Summit that both the Republic of France and the European Union as a whole (with the exception of the United Kingdom) that they will not tolerate these bogus toxic derivatives, which are in the TRILLIONS of dollars, being laundered and hidden in secret proprietary accounts that will do nothing more than force higher taxes on the entire western world through the year 2050. P.P.S. It is some what amusing, but not to be unexpected, the corporate-controlled American media filth's run away love affair with the now dishonored British monarchy. 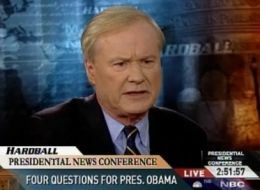 The worse offender is Chrissy Pooh Matthews aka "Tweety Bird", the host of MSNBC's Hardball show. Matthews, a British Intelligence asset, constantly bad mouths the French, praises the British crown and deals in politicial gossip, which is irrelevant and boring. Matthews, of course, remains a stooge and propaganda mouthpiece for loser and assassin, current U.S. Secretary of State, Hillary Rodenhurst Clinton. Matthews, an archenemy of former Vice President, now duly elected year 2000 President Albert Gore Jr., once bragged about voting for homosexual in-the-closet, cocaine snorting, alcoholic, AWOL, war criminal and nation-wrecker, George W. BushFRAUD in the year 2000 presidential election. Matthews also enables British gossip columnist and Bush-Clinton Crime Family Syndicate stooge, Tina Brown. Brown is very knowledgable of the Bush-Clinton Crime Family Syndicate "TRUE COLORS" assassination of John F. Kennedy Jr. and the recent Clinton-Rupert Murdoch anti-Catholic smear against Caroline, the daughter of assassinated President John F. Kennedy. Another British-type media whore worth mentioning is John Harwood, formerly of the right wing run Wall Street Journal, now currently at the New York Times. Harwood, a lifelong CIA asset, in the past has been linked to illegal espionage against former Vice President Albert Gore Jr. and the recent anti-Catholic smear against Caroline Kennedy. Harwood also showed his 'true colors' during a recent appearance on the MSNBC talk show Joe in the Morning when Harwood stated that President Obama was a lucky man because the American People could not fully comprehend the American International Group (AIG) counterparty derivatives that were used to loot the U.S. Treasury. This statement, folks, shows you what a scumbag and misfit John Harwood is. Not to be left out from our British-Yiddish media whore list is British Intelligence asset James Warren of the Chicago Tribune. Appearing today on Chrissy Pooh Matthews' MSNBC Hardball show, Warren made a backhanded smear against former Vice President, now duly elected year 2000 President Albert Gore Jr.
Warren is currently trying to blackmail Albert Gore Jr. in regards to the fact that Gore now possesses the absolute "smoking gun" evidence aka the NSA-NASA electronic script that proves Albert Gore Jr. was clearly elected Persident in the year 2000 and that the states of West Virginia, Missouri, Tennessee, Florida and New Hampshire were STOLEN with the use of none other than the British satellite Galileo. Direct warning to James Warren: It is in your best interest to cease and desist. The American People will not tolerate pieces of filth like you for much longer. Remember, folks, people like Chris Matthews, John Harwood and James Warren have covered up for years the massive criminal activity of the Bush-Clinton-British-Yiddish crime syndicate. 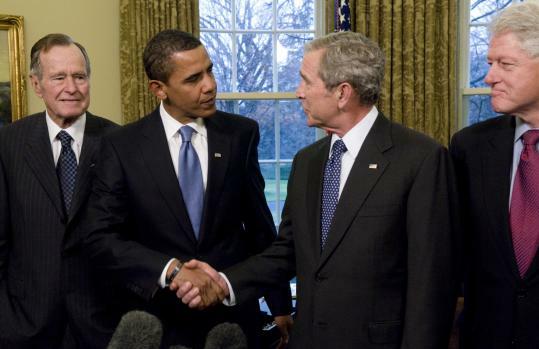 They enabled the THEFT of the year 2000 presidential election by nation-wrecker, George W. BushFRAUD, the looting of the U.S. Treasury, the illegal spying against the American People and the destruction of the American Republic. They have also covered up the illegal London-based trading platforms and ponzi schemes that have wrecked the U.S. economy. So it is not surprising the American People are angry. Direct notice to media filth: They are going to get angrier, which means bring in the duct tape, handcuffs, piano wire and guillotines. Message to Chris Story: You should cease and desist your attacks on France given the overwhelming evidence of Tony Blair and Hillary Rodenhurst Clinton's stooge, Eva Teleki, involvement in the 7/7 London bombings, along with Benjamin Netanyahu aka BibiFRAUD. Remember, Chris, once and for all, the $6.2 TRILLION is not the queen's money. The funds belong to the Wanta-Reagan-Mitterrand Protocols. Reference: The British monarch, along with the Sultan of Dubai, allegddely loaned former White House occupant, George W. BushFRAUD, $6.2 TRILLION that were supposed to be used to replace missing funds from the noted Giga account and the Wanta-Reagan-Mitterrand Protocols. The original funds were lost in illegal trading by BushFRAUD Treasury Secretary Hank Paulson done on the illegal AIG trading platform in London. The queen, who committed Misprision of Felony by reimbursing the BushFRAUD Administration, then learned that BushFRAUD and Paulson had lost the money again in more illegal trading. The queen needs to find BushFRAUD's cell phone number. It should also be noted, Chris, that you might want to fire you little British Intelligence stooge, Linda Fanton Pike. Reference: Linda, a British Intelligence asset, has recently been tied to evidence showing that her Iowa's Nurses Association was used in illegal British Intelligence espionage against the American People. Final note: Stay tuned for our next briefing, which will include details on Patrick Fitzgerald's indictment of former Illinois Governor Rod Blagojevich, the connection of current White House Chief of Staff and Israeli Mossad agent Rahm Emanuel, plus the obstruction of justice that took place by current Chicago Tribune editor and closet homosexual, James Warren. Note: Warren is covering up the use of the illegal NSA wiretapping aka Operation Stellar Wind, that was not only used in the Blagojevich case, but was illegally used to wiretap the phones of former New York Governor Eliot Spitzer, former Clinton Administration official Bill Richardson, Caroline Kennedy, daughter of assassinated U.S. President John F. Kennedy, and none other than former Vice President, now duly elected year 2000 President Albert Gore Jr. So you see, folks, this little scumbag James Warren is not a journalist but an intelligence agency asset. Closet homosexual Warren lives in a luxury apartment on Michigan Avenue in Chicago, Illinois with his homosexual live-in lover. 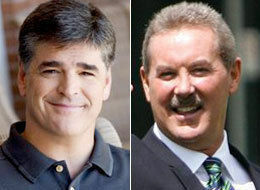 Finally we are looking into tax cheat Sean Hannity of FOX News and the fact that he did not divulge income on his last tax return, which is tied to none other than Sir R. Allen Stanford's Ponzi Scheme. International Intelligence Expert, Tom Heneghan, has hundreds of highly credible sources inside American and European Intelligence Agencies and INTERPOL-- reporting what is REALLY going on behind the scenes of the controlled mainstream media cover up propaganda of on-going massive deceptions and illusions.